The audience creates performance adrenalin, provides positive feedback (we hope: who doesn’t love a good review? ), just their showing up is a sign of support. There are usually a few career-savvy students who mention that the audience pays for the tickets that help pay for their artistic process. What do you do for the audience? I think this is tricky. On the one hand, I abhor formula work that panders to ticket buyers for no reason other than the business end. We need to make a living, hopefully from our vocation, but I believe that art is a conversation between artist and receiver. It’s a two-way street. Time out for a disclaimer: I am talking about professional dance and professional art, i.e. the audience is investing time and money to see/hear what you have created. Art for art’s sake, art as catharsis, art as therapy—all of these are valid but they are not what I am talking about. 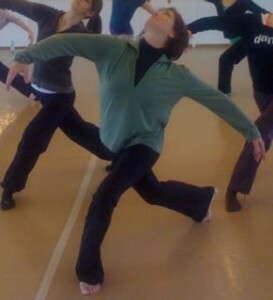 Dance and all the arts have frequently changed my worldview. Sometimes in subtle ways, as when I see something especially beautiful and am lifted out of my daily worries and endless to-do list by a reminder that there is also the sublime. Sometimes by changing forever how I see or think about certain things. But I have been at too many performances during which I thought, well, okay, it’s obvious the choreographer was feeling strongly about something, and the dancers are giving it their all, but nothing about the work makes me care because it doesn’t include me. There’s nothing to make me empathize. Half the conversation was never considered. Great audience perception. I will send it to the board. I posted article on my FB wall with comments to the effect that agree or disagree with details, Leda Meredith’s article invites artists in all fields to converse about relationship between artists and their audiences. A lively benefit to us All. More please!